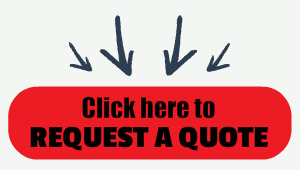 There is a vast range of businesses searching for a counting scale to help them meet quality assurance standards. Now, all of their requirements can be satisfied with just one solution: the Digi DC 190 series counting scale. Designed for shipping, receiving, parts packaging, inventory, and quality control, the DC 190 provides sophisticated performance, simple operation, and built-in hardware to accommodate a variety of features andaccessories. With a counting resolution of resolution of 1 / 1,000,000, the DC 190 offers highly advanced counting capability. It speeds productivity with the ability to interface with and control multiple scales. 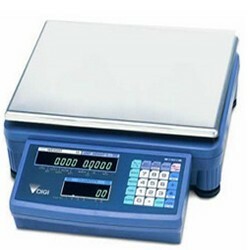 For extremely sensitive counting, choose the dual platter model or add an electronic scale platform. For heavy-capacity applications, plug in a bench or floor scale or bothto weigh bulk containers up to 50,000 lbs! The DC 190 not only offers exceptional system performance, its loaded with features that enhance your customers performance. Operation is easier and faster with three fluorescent displays that show weight, unit weight and quantity simultaneously, a 10-piece default sampling setting, accuracy enhancement, up to six setpoints, and 200 ID storage. Providing further convenience, the indicator can be detached from the base and mounted on a pole or wall. In addition, an optional rechargeable battery provides hours of portable counting power. Each scale contains three RS-232 ports for interfacing to a variety of accessoriesbar code scanners, ticket/tape printers, Eltron bar code printers, and even a PC. If youd like application assistance, click the button below. Sophisticated performance, simple operation, versatility, and a competitive price. The DC-190 has all the advantages you're looking for! Platter one is 4" x 6" Platter two is 9" x 12" -- This system is ideal for counting both large and small items, all with one digital counting scale.